Relatively speaking, Einstein was the first real "rock star" of the modern science era! 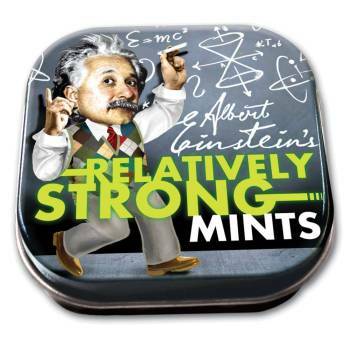 After mealtime, snacktime, or anytime, eat one or two Einstein Relatively Strong Mints and your breath will be fresh in notime. After mealtime, snacktime, or anytime, eat one or two of these tasty mints and your breath will be fresh in notime.